$619,000 - Vacant Corner Lot Across from Beach - Views, Views, Views! $599,000 - A Zone - Rancher - 3 bed 2 bath on 90X90 Lot! $585,000 - TRIPLEX - Beach block with ocean views! Totally remodeled! $399,000 - Brigantine Quadraplex - Walk to Beach! $349,000 - On the Golf Course - 5 bedroom 3 bath raised home - SOLD! $339,000 - Brigantine Southend 3 Bed Ranch - Walk to Beach! 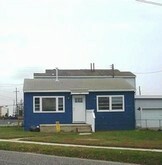 $289,000 - Brigantine Single Family - Remodeled! $249,900 - Brigantine Beach Bungalow - 2 Blocks to Beach! $179,999 - OPEN HOUSE - Sunday April 28th @ 11:00am to 2:00pm - Southend Beach Block Townhome! 2 bedrooms 2 .5 baths!